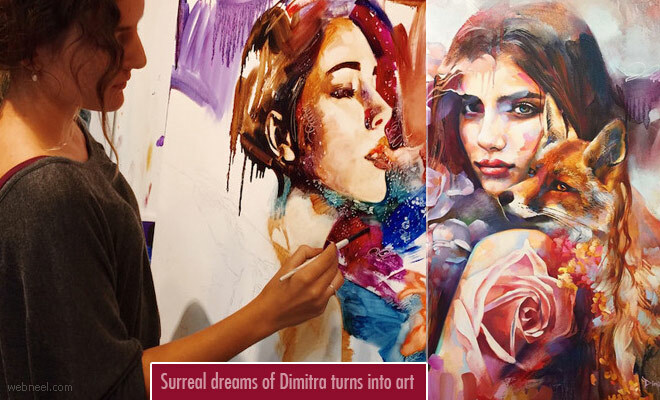 Born in an artistic environment 16 year old Dimitra Milan had a natural intention to paint and she cultivated her own unique style. When her parents opened Arizona's Milan Art Institute, allowing her to take any class that caught her attention, it expanded her skills. From classical oil techniques to contemporary mixed media, Milan's skill set grew along with her desire to paint. Most of her paintings have a women and an animal or nature which she feels as a dreamy atmosphere and a feeling of anything is possible. she thinks about the functions and attributes of the animal and use it as a symbol. Dimitra feels painting and creating art is spiritual and not intellectual.